So the season has ended and winter has arrived with perhaps one of the best powder days of the year. What sort of karma buries the powcam on the Tuesday after the lifts stop running? That’s just the way it goes sometimes, especially the last two seasons. For those living here, now is the time to rejuvenate. Be it the desert, a beach or an Elk Avenue bench, the off-season is a blessing. But under the circumstances, it is also a chance to think about things … important things. Here’s the question: Are you satisfied with the state of the ski area as it stands? Is being a 300,000-plus skier-day (with about 40 percent of those being paid skier days) destination resort okay for the winter economy in the north end of the valley? The reason to ponder that now is because the ski area is finding some balance in that 300,000 skier-day box. While it’s not optimal to the resort management to have the numbers level off there, it’s not too bad either under management practices implemented the last few seasons. I was speaking with CBMR vice president and general manager Ethan Mueller last week and he said the company is having its best financial year probably in decades and certainly since the Muellers arrived in town nine years ago. Part of that has to be from an increase in summer business. Part of it likely comes from winter cuts the resort has made since 2010. “The company is healthy,” he explained. “From a financial standpoint, we can make it under these circumstances. We had to adapt after Snodgrass was rejected and this is how we’ve adapted. It’s making decisions like taking three years to expand the Paradise Warming House instead of one. It’s providing three-star service instead of five-star. We are making it work. And that’s with two bad snow seasons in a row. If we have a good snow year and get more customers, it will certainly improve. “Yeah, we’d prefer to have 450,000 to 600,000 skier days in a season but we can make it work,” he summarized. Mueller sort of put the onus on the community to decide what it wants to be. He indicated that to increase the numbers might mean more community involvement with tourism efforts such as airline programs. That might mean a tax expansion to help subsidize flights. It might mean more municipal or private business contributions. It might mean finding a whole new template to get people here. Growing the ski area remains a conundrum. It’s not just here by the way. Even the Big Daddy, Aspen, is struggling with economic woes. A report in the Aspen Times last week noted that the “2013 Economic Sustainability Report” shows Aspen has lost economic ground over the past decade and faces hurdles to its future economic health. 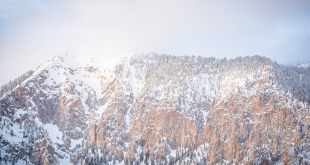 According to the article, the report offers a bleak assessment of Aspen’s economy, noting stagnation in the local job market and declining wages. Lodging data over a 20-year period also suggest a slow, steady erosion of economic vitality in Aspen, the report said, though summer occupancy has rebounded over the past few years. And airline seats coming into Aspen are also a concern, even though the resort doesn’t pay guarantees to airlines to fly there. “Obviously, the price and availability of seats into Aspen is of paramount concern,” city manager Steve Barwick said. That sure doesn’t sound like the Aspen I see. But perception is everything. So what’s your comfort zone with Crested Butte and your perception of the winter economy? We joke about Crested Butte essentially being a private ski resort. There’s a good news-bad news element to there being no lift lines here. It sure is easy to ski here. 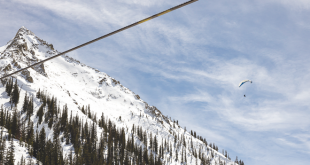 From a purely economic standpoint, is there enough business being generated from those lack of lift lines for the independent businesses to make it in Crested Butte? And how does that impact you if local businesses start to close? Can families make enough money to raise a family here? 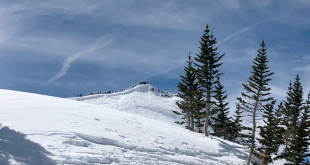 For many living here, I think the answer is that they are quite content to see the ski area remain at this 300,000 skier day level as long as passes are affordable and the ski season runs from November to April. Many locals don’t rely directly on winter tourism numbers to live here. But they’ll feel it if they lose their favorite restaurant or coffee shop or if their kids’ friends have to leave town. Others will feel the pinch of increasing costs and fewer customers and might have to find another place to raise their kids. Where is the community’s comfort level? And what’s to guarantee Crested Butte won’t see winter visitor numbers decline further? It’s all something to ponder this spring while you are at the pool in Florida, riding the trails in Utah or climbing the peaks to ski the fresh snow we got this week. But it appears these are questions the community as a whole must confront. Enjoy the start of off-season, everyone.